All the heavy objects that go into your storage unit should form the foundation of what you’re packing. You should also stack your boxes up to the ceiling. If you are putting in sofas or tables, then they should be put on their side to make more room. With tables, you can take off the legs. You should always look for ways to repurpose what you are putting in storage. For instance, if you are storing a refrigerator, then it can become its own storage unit. Once it is clean and dry it becomes a good space for a lot of items. The same can be said for dressers, empty trashcans and luggage. 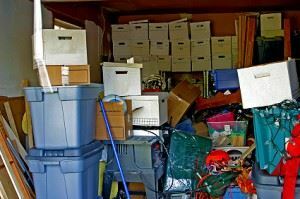 If you know that you’re going to be bringing things in and out of your storage unit, then those the items you want to put up front. Those boxes should also be carefully label so you know exactly where you need to pull from. You could even write out a small map diagram that details where things are located. As you pack, you should always work from the walls inward. If you can leave a path between those stacks, then it will be easier to get to the stuff in the back. If you put labels and the boxes, make sure they’re all facing forward. Since you are paying for the storage unit, you want to maximize the space with the things that are of use to you. In other words, you don’t want to pack junk that you would normally throw out. Take the time to sort through all the things you want to put into storage. Anything that you know you’re aren’t going to use again, including big pieces of furniture, can be turned over to Junk King Richmond. These are the junk hauling pros that can be a big help when it comes to carting off all kinds of junk and rubbish. Make sure your storage unit is junk free with a junk removal session from Junk King Richmond. This entry was posted in Richmond Junk Removal and tagged clutter, junk, Junk King Richmond, junk removal, storage unit on August 1, 2017 by Junk King. Last updated August 1, 2017 .